Website and processes: 15 Sep 16 anon, 3/5 Average "Website is fairly basic and very wordy, but easy enough to navigate if you are an experienced internet shopper. maybe not so much if you don't do much online." After a short preflight briefing which will cover the controls and how they work you will take to the skies for the flight of a lifetime. 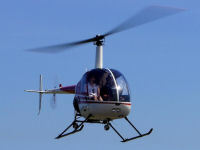 Once airborne you will also get chance to experience the exhilaration of actually taking control of the helicopter. Friends and family can enjoy a close up view of you taking off and landing. During your flight they can relax in the lounge area whilst observing all the activities of the airfield.